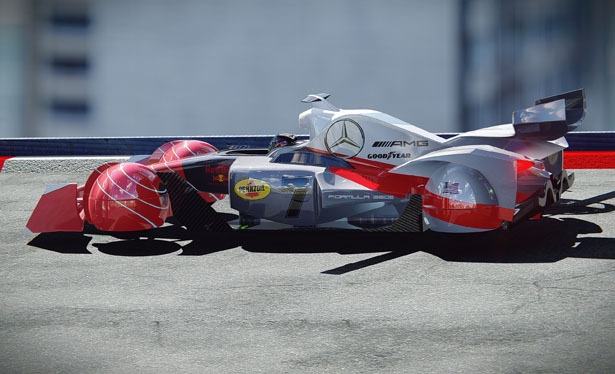 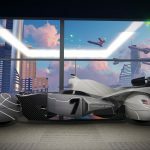 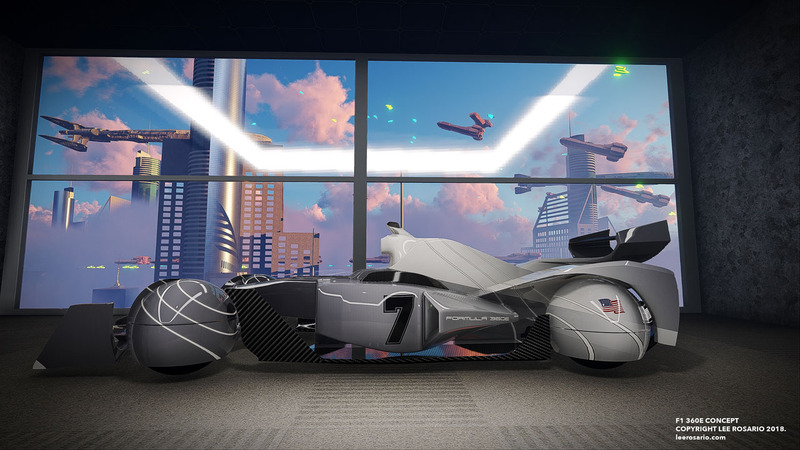 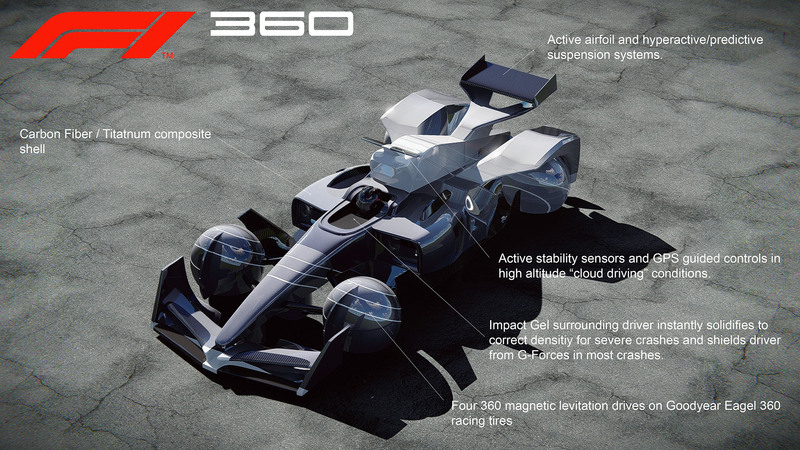 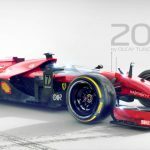 Submitted by Lee Rosario, Formula One 360E is a concept race car designed around the concept Goodyear Eagle 360 spherical tire design. 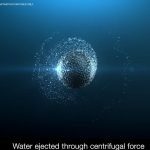 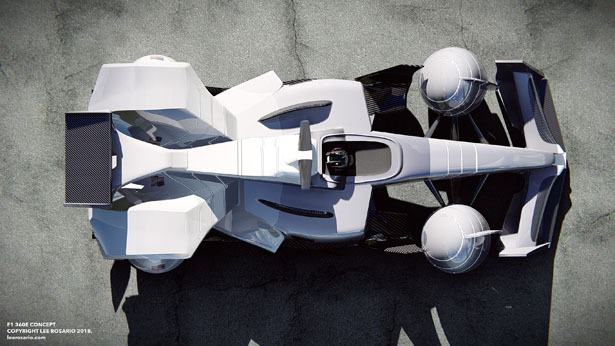 It boasts a 360 independent wheel system powered by magnetic levitation lithium ion drives. 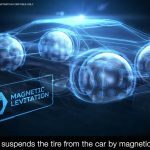 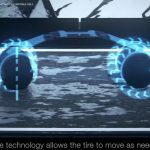 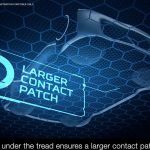 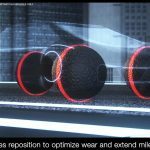 There is virtually no restriction on tire movement which allows for never before seen maneuvers on the race track as well an entirely new approach to driving on four wheels. 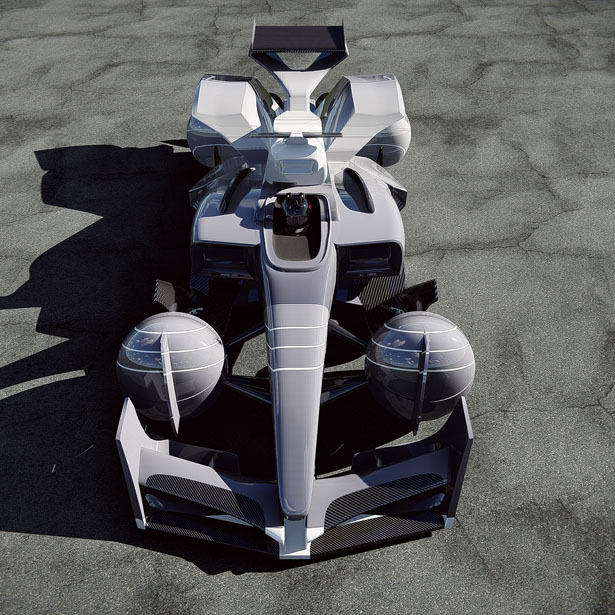 Designed by Lee Rosario, The chassis of Formula One 360E Concept boasts a lightweight and highly durable composite carbon/titanium “fiber” compound, specialize racing suit designed to enhance the drivers biological response times and a special proposed “impact gel” that covers the driver in a sealed cockpit. 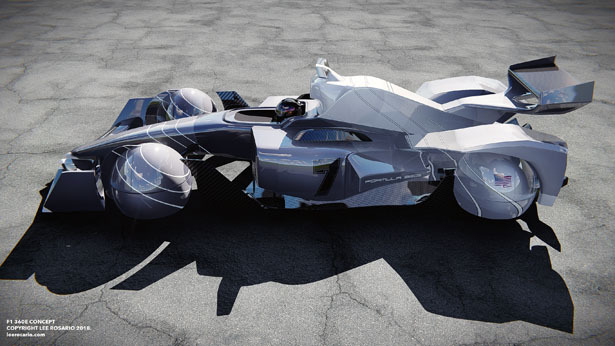 The gel activates upon impact hardening just enough to absorb impact G- Forces sustained during high velocity crashes. 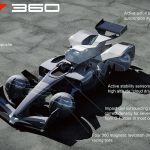 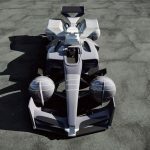 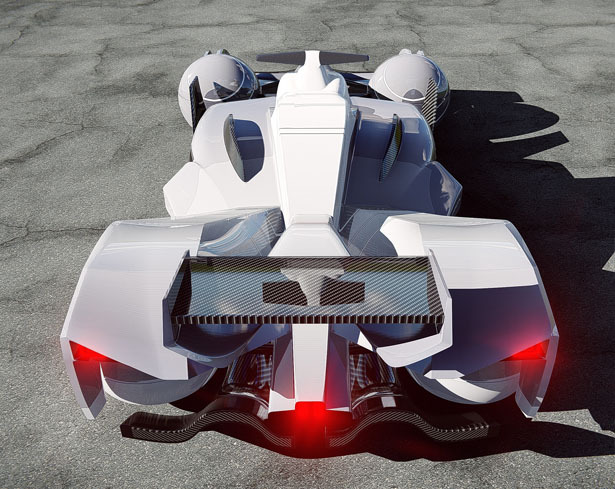 Tuvie has received “Formula One 360e Concept Race Car” project from our ‘Submit A Design‘ feature, where we welcome our readers to submit their design/concept for publication. 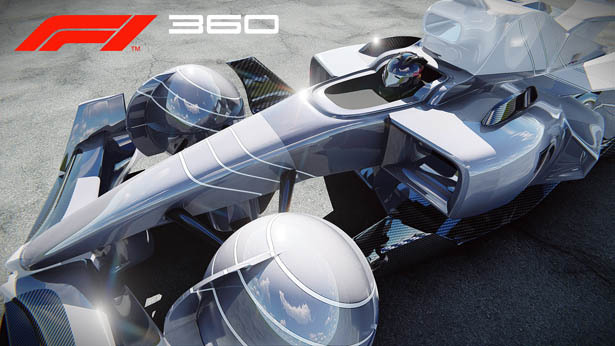 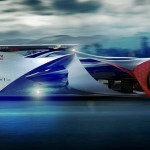 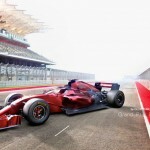 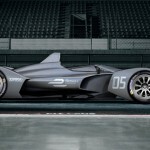 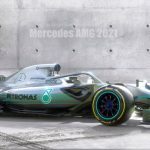 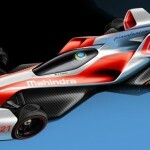 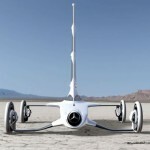 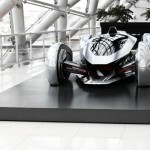 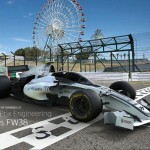 Tagged as f1 concept race car, formula one racing car design, Goodyear Eagle 360 Spherical Tire inspired race car design.